Anodyne News 11-9 : Now on Android Phones! Report RSS	Anodyne News 11-9 : Now on Android Phones! 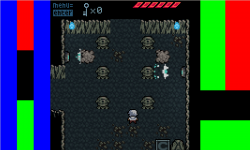 I added Android phone support for my Zelda-like Anodyne, and also did a bunch of other things recently in development. Anodyne's gonna be on Android phones!!! Yep, I spent yesterday porting it. Thanks to Adobe AIR, this was only as difficult as it took to figure out how to do everything. I plan on making a formal blog post later on what I ended doing to solve it. We still need to add GUI sprites but it's working. This picture has placeholder art I've used to do the GUI, it will be replaced soon. 1. Now we can submit to the Indie Showcase at PAX East - they are only accepting mobile submissions from Indies this year. This means Anodyne has a chance of getting a few days over there in mid-March to meet a bunch of people! That would be reallys well. 2. We can eventually sell it for Android phones! 3. Playing it as a handheld is pretty awesome! I was laying in bed playing the first dungeon last night, it was a cool feeling. In the past few weeks I've been working on the area design for a few areas. I've finished quite a few so progress is great. I've also been implementing cutscenes which is slightly less exciting for me (but exciting for you! they're short and to-the-point). As always, don't forget to follow me on Twitter! And also upvote for us on Steam Greenlight! And share with your friends! 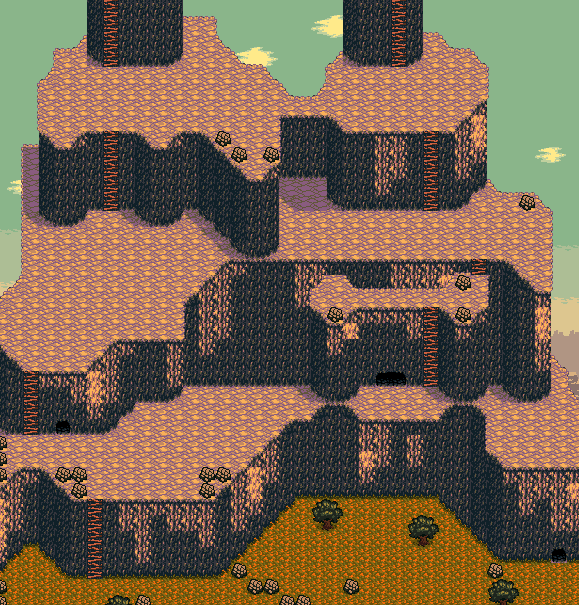 Here's a picture of an area I'm working on in a near-final form. I'll leave this update at that! That sounds awesome any chance your going to release what little you have done for people to try on there android phones? I figured releasing the current demo for free is a good idea to get all the resolution bugs out of the way and see how it plays. The input lags slightly because of all the layers of software, I'm hoping it won't detract too much. Exciting! Looking forward to trying it out. HTC Amaze - it's on the higher end performance-wise for phones, and it runs fine, but the input lags a little bit. I don't think there is anything I can do about that though...and it's not terrible, just takes some getting used to. Pausing works for me as far as I can tell? Another thing is that the game isn't very graphics intensive (logically 160x180 pixels, scaled up some amount).